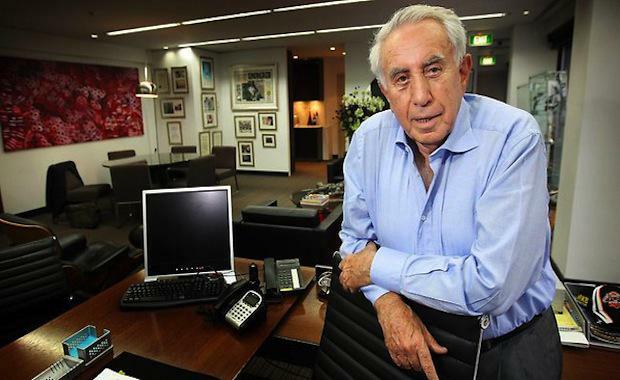 Harry Triguboff founder of Meriton has recently announced plans to restructure and expand the executive team, putting to rest any rumours that the 82-year-old developer is selling the business. Despite rumors of the potential sale, Mr Triguboff has stated that there is no need to sell and furthered this by telling media that the business would build about 3,000 additional apartments this year. “Nothing is happening (on the sale). It (Meriton) will be even stronger in a couple of years. I could sell then,” Mr Triguboff said. In the wake of the retirement of long-time General Manager Peter Spira last year, new positions have been made within the executive team, including that of a Building Director and a Director of Sales. will head Meriton’s new Projects and Planning position while newbie Andrew Mednick has taken over as Retail and Commercial Manager. “Before Peter went, I created a building (director) and a director of sales,” Mr Triguboff said. Mr Triguboff described the process of adding new staff into the company as a ‘daunting adventure’. “We have people that have been here a long time and when you put someone new in we have to see how they fit in,” Mr Triguboff said. Named Australia’s second-richest person by Forbes Magazine this year, Mr Triguboff has recently purchased a number of new development sites in Sydney, and has reportedly spent $432 million on land since January last year. With a current development pipeline of more than 13,600 units, Meriton is continuing to grow with Mr Triguboff’s twenty-four year old grandson Daniel Hendler becoming increasingly involved within the business. Mr Triguboff currently has his sights set on Sydney, as negotiations on three sites with a total purchase price of $350 million continue. “They are all Sydney sites. At this stage, Sydney is the place,” Mr Triguboff said. According to The Australian, Mr Triguboff also owns 2,200 investment apartments retained from his developments, which have reportedly been eyed by investment banks for a potential listed property trust.